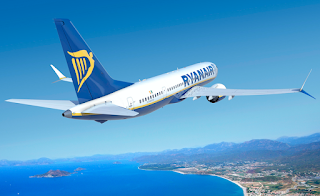 The European low-fare-high-fee airline Ryanair said on Monday that its profits for the full year would be down by at least 12% due to strike action by disgruntled staff and higher fuel prices. The airline says its profits will now be in the range of €1.10bn – €1.20bn, down from €1.25bn – €1.35bn, it originally posted. The strikes have had a big impact on passenger numbers the airline concedes and it is also seeing a lot lower volume of advance bookings for the winter period, particularly for the October school half-term holiday, perhaps because of a lack of consumer confidence their Ryanair flights would actually go ahead. The airline is also complaining bitterly that its vast profits might take a little dent because it has had to pay out a lot more compensation under the European EU261 regulations that it previously anticipated. Read on for Michael O'Leary's comments on the profits warning and find out which bases are facing the axe. The aggressive and bullying boss of Ryanair’s Michael O’Leary said, “While we successfully managed 5 strikes by 25% of our Irish pilots this summer, 2 recent coordinated strikes by cabin crew and pilots across 5 EU countries has affected passenger numbers (through flight cancellations), close in bookings and yields (as we re-accommodate disrupted passengers), and forward airfares into Q3. While we regret these disruptions, customer confidence, forward bookings and Q3 fares has been affected, most notably over the Oct school mid-terms and Christmas, in those 5 countries where unnecessary strikes have been repeated." "These strikes have also added to our EU261 costs while, at the same time, our unhedged fuel costs have jumped as oil prices rise to $82pbl which affects 10% of volumes, and all of Laudamotion’s fuel bill. Like a number of other EU airlines, we have decided to trim our winter 2018 capacity (by 1%) in response to this lower fare, higher oil and higher EU261 cost environment." Ryanair is starting to make winter cuts, it will close its Eindhoven base, where 4 aircraft are based, most routes to/from Eindhoven will continue on overseas based aircraft, but almost all cabin crew will see their jobs axed. The airlines Bremen base will also close, some service continues with non-German aircraft, but most staff will lose their job. Niederrhein base will be cut from 5 to 3 aircraft with most routes continuing on the remaining 3 aircraft, many cabin crew will be out of work as a result. 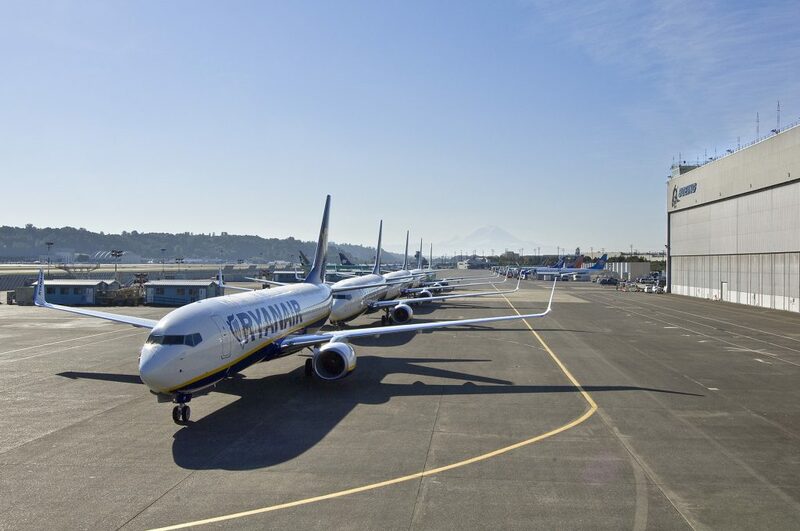 The closure of the Bremen and reduction of aircraft at Niederrhein is seen by many in the industry as Ryanair's managements bullying response to the recent strikes and acts as a warning to the staff at other bases, that if strikes continue, the base could and will be closed. The airline has warned there are more base cuts to come in Europe, but refused to say which ones.